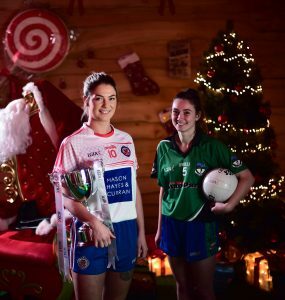 NEW All-Ireland club champions will be crowned in three grades over the weekend, as a landmark Ladies Football season draws to a close. A new name will be etched on the Dolores Tyrrell Memorial Cup as previous runners-up Foxrock-Cabinteely (Dublin) and Mourneabbey (Cork) clash at Parnell Park on Saturday in the Senior decider (5:15pm). That’s followed by the Intermediate Final meeting of Clontarf (Dublin) and Emmet Óg (Monaghan) at 7:30pm. Sunday’s fixture at Duggan Park in Ballinasloe will throw in at 2:30pm. All-Ireland Ladies Senior Club Final – Foxrock-Cabinteely (Dublin) v Mourneabbey (Cork); Parnell Park, Donnycarney, Dublin, 5.15pm. LIVE TG4/RTÉ Radio 1. THE 2018 All-Ireland Senior Club Final promises to be a game to savour – as players who featured in the TG4 All-Ireland Senior Final between Dublin and Cork renew acquaintances. 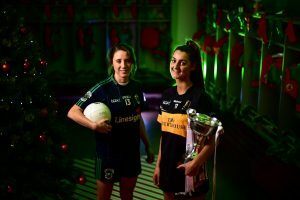 Mourneabbey have newly-crowned TG4 All Star sisters Ciara and Doireann O’Sullivan in a potent attack – and they’ve been in a rich vein of recent form. At the back, defenders Maire O’Callaghan and Eimear Meaney were also nominated for All Stars this year. Fox-Cab have Dublin All-Ireland winners Sinead Goldrick, Niamh Collins, Amy Connolly, Hannah O’Neill, Emma McDonagh and Tarah O’Sullivan in their starting line-up – and Goldrick was honoured with a sixth TG4 All Star award last weekend. Recent heartbreak will turn to ecstasy for one of these clubs, with Mourneabbey ready for a fourth final in five seasons. They’ve lost their previous three appearances, in 2014, 2105 and last year against Carnacon. In the 2017 All-Ireland semi-final, Mourneabbey got the better of Saturday’s opponents, but they needed extra-time to do it. Fox-Cab were finalists two years ago but they were outclassed by Donaghmoyne on the day. The Monaghan club specialists had also beaten Fox-Cab in the 2015 semi-final but there was sweet revenge recently when Roisin McGovern’s late goal stunned Donaghmoyne at the semi-final stage. McGovern has to be content with a place on the bench once again as both teams have named unchanged starting line-ups following their respective semi-finals. Mourneabbey were excellent on their visit to Galway, for a meeting with Kilkerrin-Clonberne, who had knocked out Carnacon. Doireann (0-8) and Ciara O’Sullivan contributed 0-11 between them as Mourneabbey produced with manager Shane Ronayne described as a “controlled” performance. Foxrock-Cabinteely: A Tarpey; A Murray, S Quinn, E McDonagh; S Goldrick, N Collins, L Fusciardi; T O’Sullivan, C Ní Mhurchadh; L Nerney, A Connolly, F Claffey; H O’Neill, C O’Riordan, A Ring. Mourneabbey: M O’Sullivan; E Meaney, C.A. Stack, A O’Sullivan; S Conroy, R O’Sullivan, K Coakley; M O’Callaghan, B O’Sullivan; E Harrington, C O’Sullivan, N O’Sullivan; E Jack, L Fitzgerald, D O’Sullivan. All-Ireland Ladies Intermediate Club Final – Clontarf (Dublin) v Emmet Óg (Monaghan); Parnell Park, Donnycarney, Dublin, 7.30pm. LIVE TG4. TWO first-time Finalists meet in the Intermediate decider as Dublin and Leinster champions Clontarf take on Monaghan and Ulster standard-bearers Emmet Óg. Clontarf finally landed the Dublin title after losing the three previous finals and they’ve pushed on from there. Mick Cronin’s charges were extremely impressive in their All-Ireland semi-final victory over St Brendan’s, knocking six goals past the Galway outfit. Former Ireland women’s rugby team captain Fiona Coghlan is on the bench for Clontarf while Kate Fitzgibbon, Siobhán Killeen and Katie Murray were members of Dublin’s TG4 All-Ireland Senior Championship winning squad. A Dublin club has never won the Intermediate Club Final, although Thomas Davis (2013) and St Brigid’s (2009) did reach this stage. There has been a Monaghan winner of this competition previously, and that was a decade ago when Emyvale got the better of Ballingeary/Inchigeelagh from Cork. The stand-out performer for Emmet Óg is county star Ellen McCarron, who bagged 2-3 in the All-Ireland semi-final victory over Dunedin Connollys. Chloe McBride was also on target with two goals in that game and this final has the potential to deliver a cracker. Clontarf captain Sarah Murphy earns a recall to the starting team and replaces Kate Fitzgibbon, while there are three changes to the Emmet Óg team that started against Dunedin Connollys. Kerry Nolan, Anita Newell and Laura Boylan are replaced by Katie Monaghan, Orla Reilly and Gráinne McCluskey. Clontarf: C O’Connor; H Bolger, K Murray, E Plunkett; H McLaughlin, G Reilly, B Walsh; S Fagan, N Hetherton; S Murphy, T Fitzgibbon, F Skelly; S Killeen, C O’Connor, A Bell. Emmet Óg: D Morgan; R Hughes, Á McQuaid, K Monaghan; N Rooney, C McBride, M Monaghan; M McCarville, E Daly; E Leonard, E McCarron, O Reilly; F Monaghan, B Tierney, G McCluskey. All-Ireland Ladies Junior Club Final – Glanmire (Cork) v Tourlestrane (Sligo); Duggan Park, Ballinasloe, H52K274, 2.30pm. LIVE Stream on LGFA Facebook Page. THE Junior trophy could be heading back to Cork again, as Glanmire look to follow in the footsteps of 2017 champions Aghada. Indeed, this is the fourth successive year that a Cork club has contested the All-Ireland Junior Club Final, as Aghada (2017), Kinsale (2016) and Bantry Blues (2015) all appeared on the big day in previous seasons. For Sligo Football, Sunday will mark the first time since 2009, when Drumcliffe Rosses Point contested the Junior Final, that a team from the Yeats County has contested an All-Ireland Club decider. St Nathy’s (1999) were also Junior Club Finalists but no Sligo team has ever won an All-Ireland Club title. 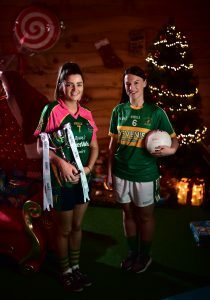 These are two first-time All-Ireland Finalists and the occasion has captured the imagination of both clubs and their localities, with huge interest reported. Kate Hannon and Niamh McAllen were the star performers for Glanmire in their All-Ireland semi-final win against Trillick. Glanmire have racked up the miles in the All-Ireland series, beating Roger Casements (Coventry) in Birmingham at the quarter-final stage before making the long trip to Tyrone. Tourlestrane have been impressive too, and they got the better of Carlow’s Old Leighlin at the semi-final stage. Katie Walsh is a star forward for Sligo and she scored six points in that game, with Laura Surlis and Leonie Gaughan scoring the crucial goals. Both clubs have announced unchanged starting line-ups following those semi-final wins. Glanmire: A Carey; R Kelleher, A McNamara, A Turpin; A McCarthy, E Baker, L Cashman; E Twomey, A O’Mahony; S O’Brien, E Murphy, S Murphy; N McAllen, K Hannon, S Deane. Tourlestrane: C Walsh; S Brennan, L Walsh, S Mooney; E Meers, S Henry, C Marren; A Egan, N Brennan; A Corcoran, G Carty, T Walsh; S Cunney, K Walsh, L Surlis.